Petropolis, named after Emperor Pedro I, the first monarch of Brazil, lies about forty miles north of Rio de Janeiro in the forested hills of the Serra dos Órgäos. It was the summer residence of the monarchy and aristocracy throughout the second half of the nineteenth century and had naturally also become the summer residence of the legations. 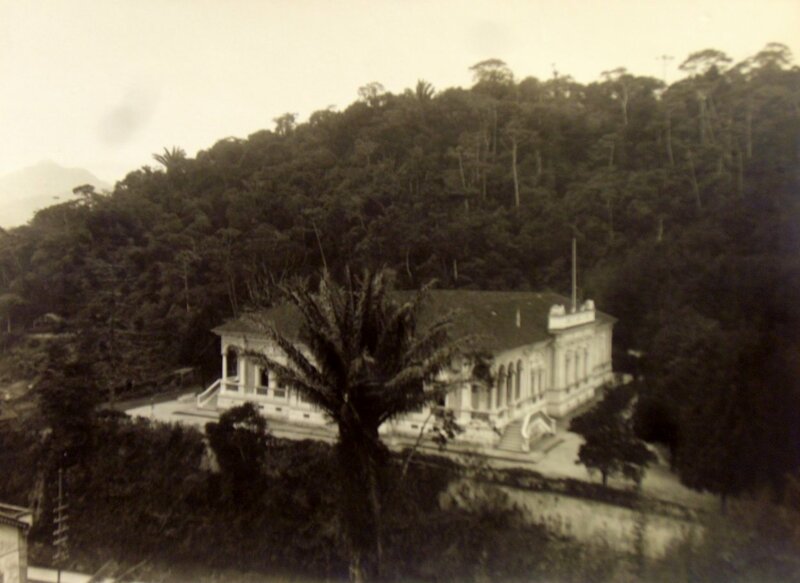 In 1907 the minister, William Haggard, proposed buying both the good villa that he rented in Petropolis and a house in Rio, where he expected the government to spend increasingly more of its time. This fell on deaf ears in London. 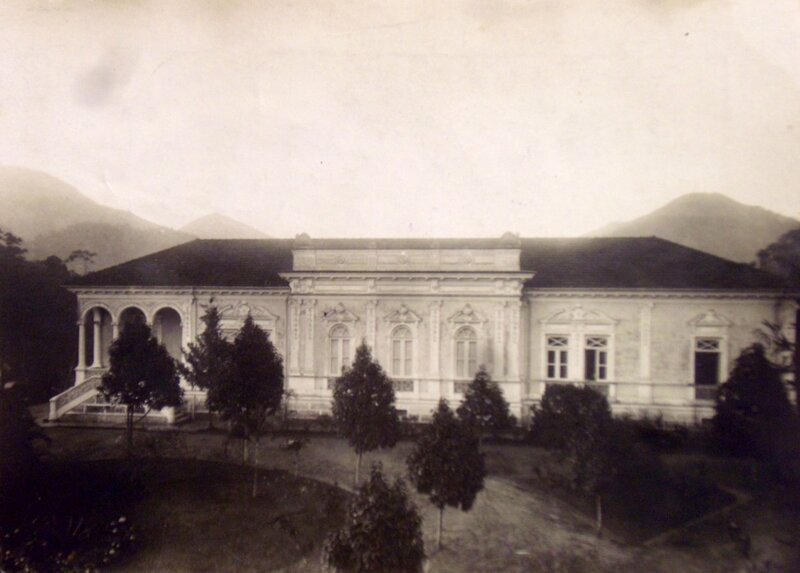 He tried again in 1909 when the owner of the Petropolis villa died and he saw an excellent opportunity to buy it for a bargain price. The Office of Works remained unimpressed but the Foreign Office persuaded it at least to send for the details which, when they arrived from Haggard, were really quite acceptable. Haggard was therefore authorised to buy the villa within a maximum of £5,000, which he did in January 1910. He then infuriated London by telling them, for the first time, that he needed to spend a further £200 on stables and servants quarters. The one-storey villa was built in 1897 in about 2.5 hectares of steep and wooded countryside at 297 Rua Monsenhar Barcellar, in the Rhenania Inferior Quarter, Parish of San Pedro de Alcantara. It was built in limestone and brick, finished with elaborate pink and white stucco, and roofed with French tiles. 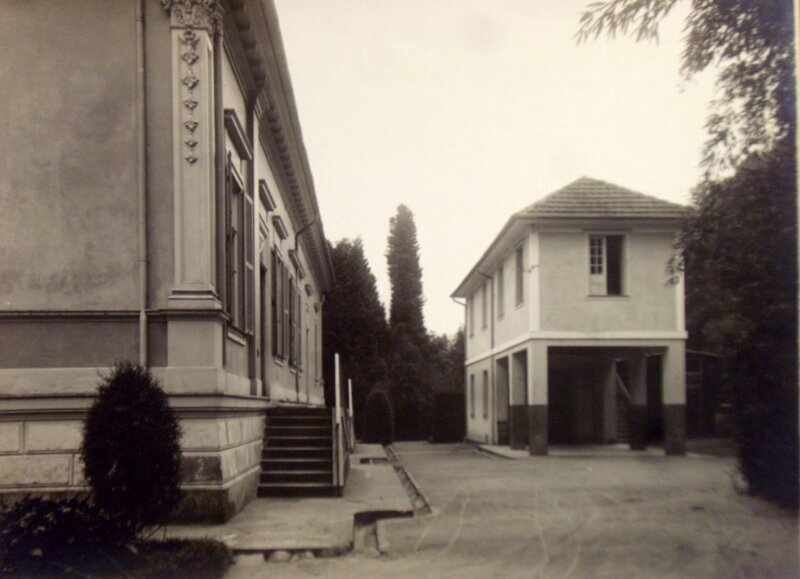 A large garage was added in 1924, and a new chancery and better accommodation for the English servants were built in 1928 when Petropolis became, for a decade or more, the year-round residence for want of a more suitable house in Rio. It reverted to a summer residence during the Second World War. During the 1950s, its chancery building became an amenity retreat for staff. 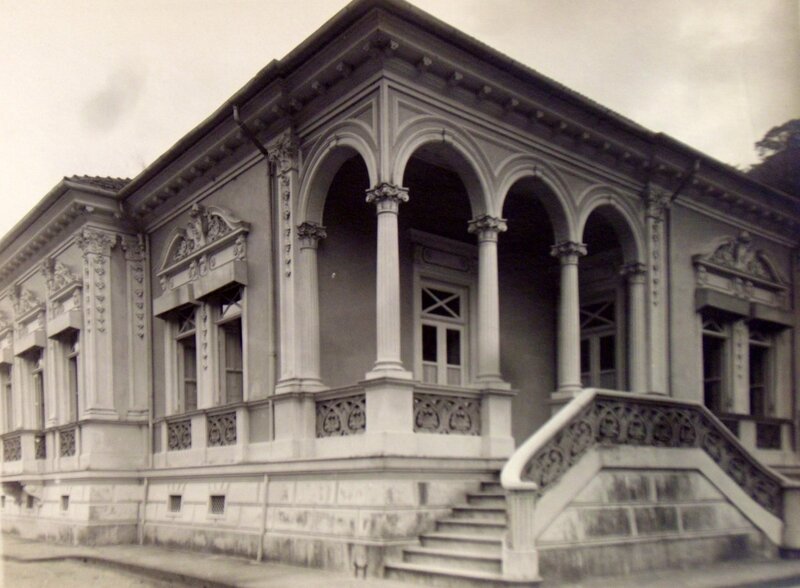 Petropolis, though rarely used, was still in the estate in 1967 when a debate took place as to whether to give it to the Brazilians or hand it over to the British Council (who refused it). It was eventually sold in 1968. A corner of the summer residence, 1950. Summer residence from nearby hill, 1950. Summer residence principal facade, 1950. Chancery and garage added for year-round residence use in 1928.